Thank you, Lydia. I really enjoyed meeting you. Wow...you are such a fabulous and fun model. Even though I took the photo on my little Blackberry phone, it was just about impossible to get a bad shot; you are so photogenic. Thank you for letting me show you off on our blog. 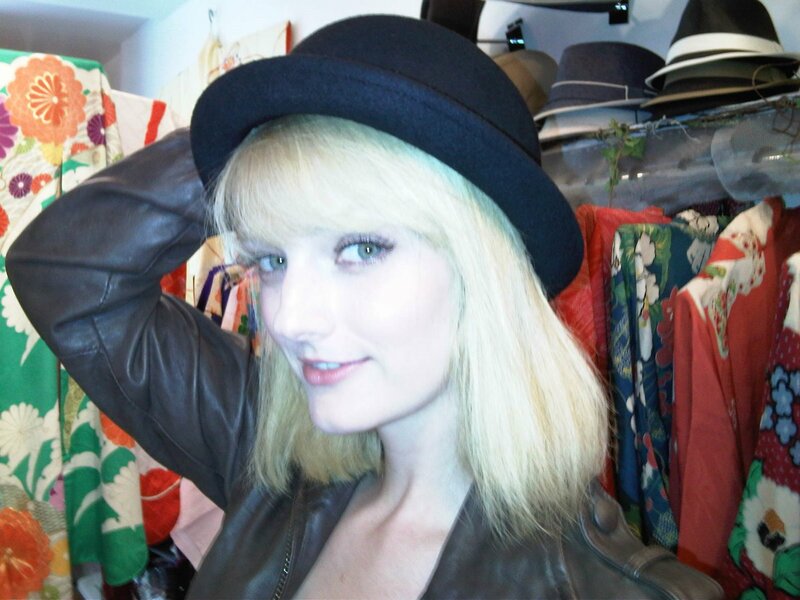 Lydia is wearing our little mini-bowler derby hat. She called us up and was able to fit her visit to The Hat House in Soho, New York into her very busy schedule. Lydia looked great in every hat she tried on!